During the same CinemaCon presentation today that featured J.J. Abrams shooting down our Cloverfield theories, Paramount noted that it has two Star Trek movies currently in development. That’s all the studio said, but Fandango editor Erik Davis said that Paramount initially phrased it “several new Star Trek movies” and then specifically revised that to say “two,” which at least tell us that it’s definitely two separate projects and not just a vague acknowledgement that things are happening. Luckily, thanks to the magic of basic deduction, we can make an educated guess as to what both of these movies are. 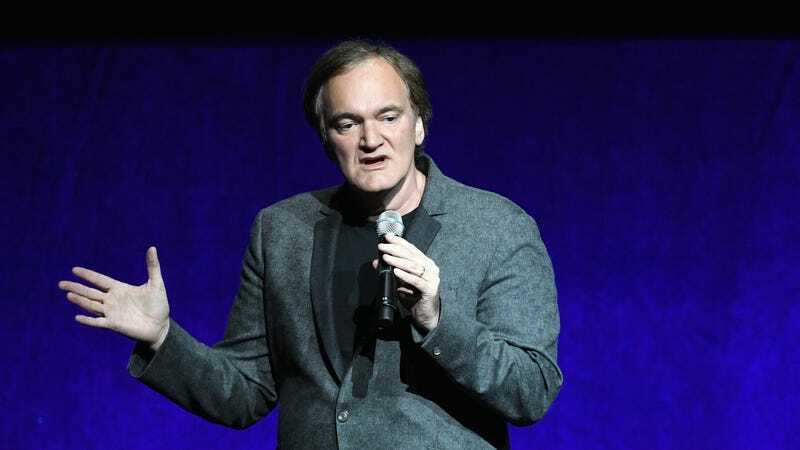 It’s safe to assume that one of them is Quentin Tarantino’s Star Trek movie, which found a writer back in December even though the whole concept still seems utterly bizarre, and the other is most likely another installment in the rebooted Star Trek series—a sequel to 2016's Star Trek Beyond, in other words. Or maybe it’s something totally different? We really have no way of knowing until Paramount offers some more information.